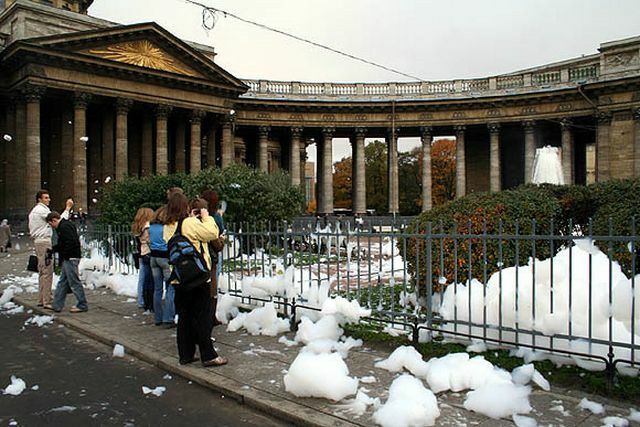 Today is Friday 13th, and somebody in St. Petersburg played a joke on the biggest and most famous cathedral of St. Petersburg , the Kazan Cathedral. 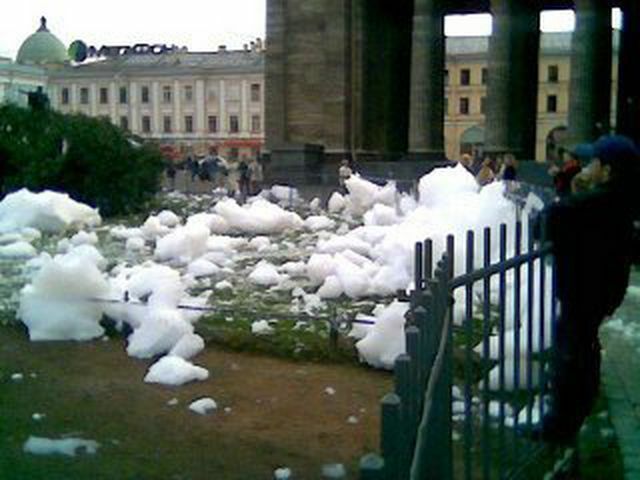 It seems that a few bottles of some dishwashing liquid was poured into the fountain in the morning. 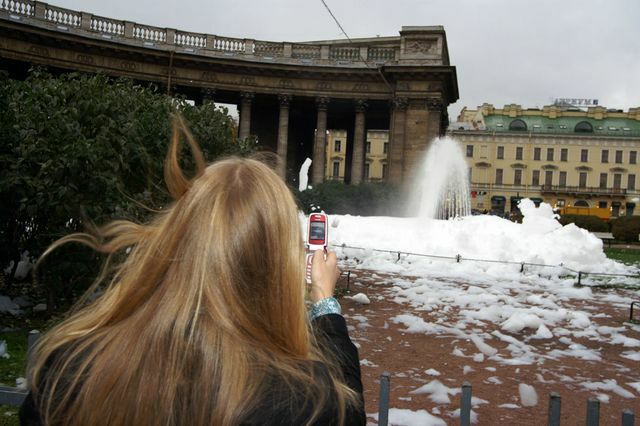 This site attracted a lot of people all across the town together with tourists who have got a rare chance to see the cathedral square covered with foam. It is not St. Isaac. It is Kazan Cathedral. Now this is a prank I can appreciate. Hahaha! Fun! Congrats to the people who pulled it off. A world wide problem. Happens in my home town. I guess those who do this cliche’ prank think that they are the first to think of it. They should have made the most of it and sent people round with brooms to scrub the streets. Argh! 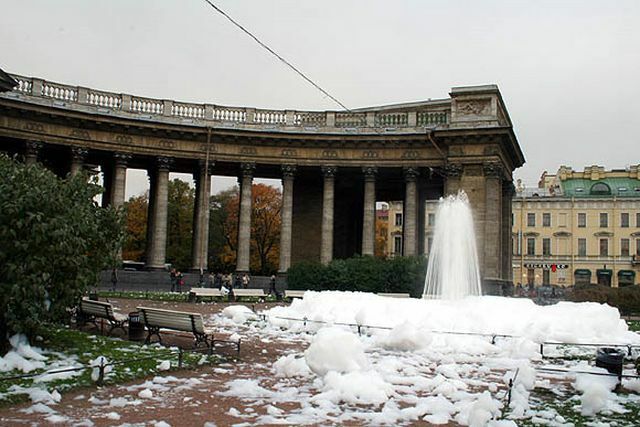 This is a cleaning procedure just before stopping fountain for a winter period. i love it – i once tried ( and failed ) to do this in a fountain in flint as a young teen! fun to see it pulled off correctly! So what’s the big deal here? They fixed it already. This has been a common student prank in the West for many years (at least since my student days, which, depressingly, are nearly twenty years ago.) 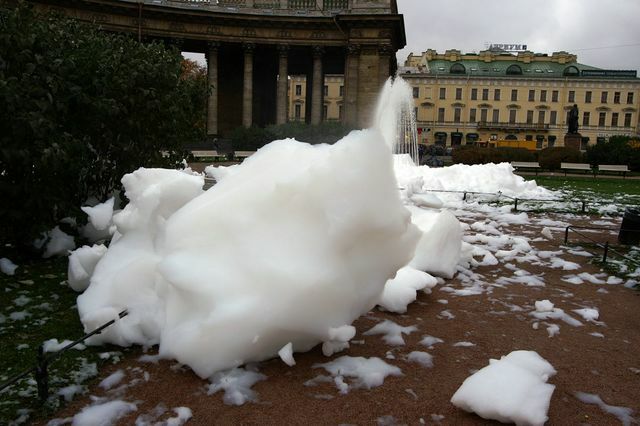 Consequently there is now commercially available an anti-foaming agent that can be added to “foamed” fountains and dissipates the foam in just a few minutes. 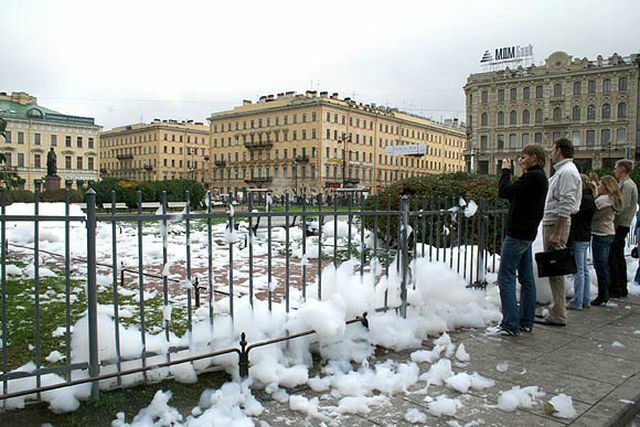 Well, is one way to clean up St. Petersburg.